Designed by the architectural firm I.M. 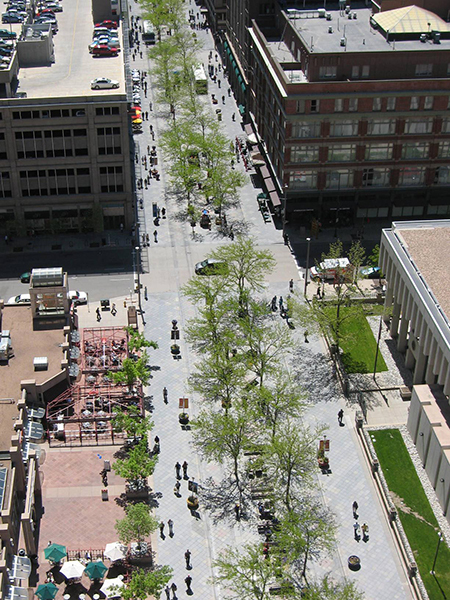 Pei & Partners in collaboration with landscape architects Hanna/Olin (now OLIN), the mall was developed to facilitate public transportation for both downtown and outlying areas, while consolidating and revitalizing the diverse urban core of the city. 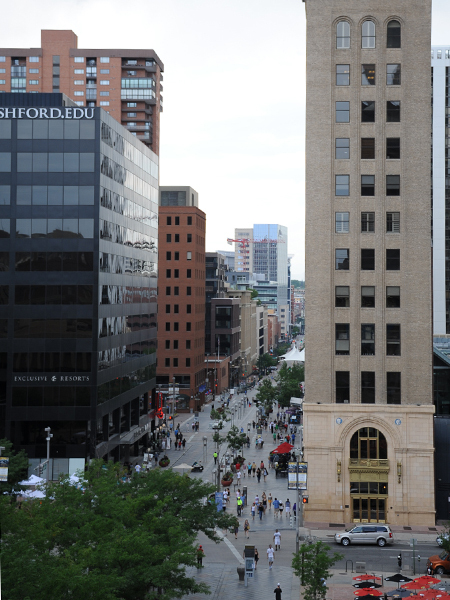 Since Denver’s earliest days, 16th Street was a hub for commercial development, and served as the main parade route for civic celebrations. 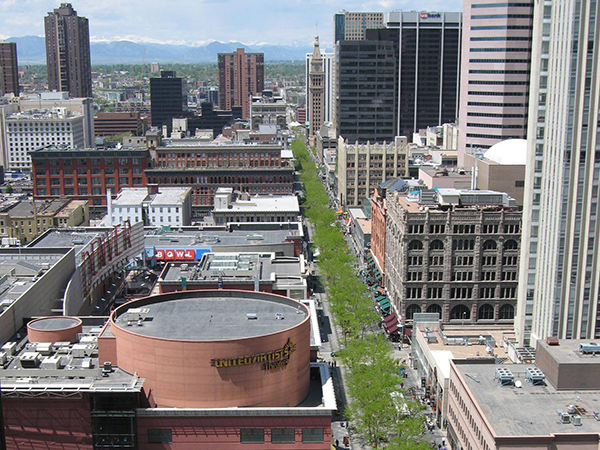 In 1971, Downtown Denver Inc. (now Downtown Denver Partnership) proposed closing nine blocks to vehicular traffic, however the idea was met with resistance. Several years later the recommendation was revived and construction began in 1980. 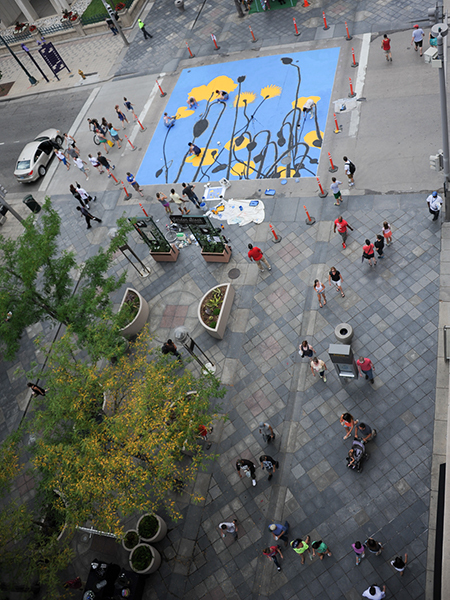 Opened two years later, it has become a major economic and cultural catalyst for the transformation of downtown Denver. 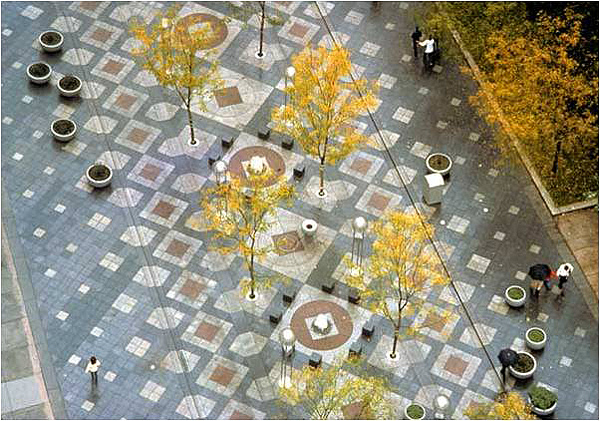 The design for the 80-foot wide, mile-long mall incorporated custom paving, a centralized corridor of plantings, and street furniture. Lofts, restaurants, shops, and theaters line this dynamic space, which includes a gracious 22-foot-wide, tree-lined promenade flanked on both sides by subtly depressed transit lanes and widened sidewalks. 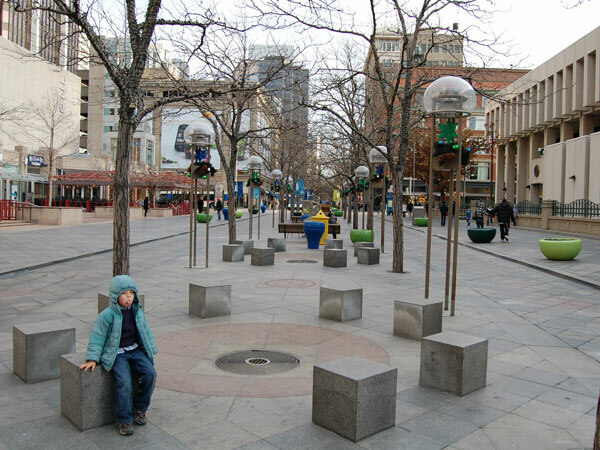 Originally designed as an inviting pedestrian thoroughfare, the mall connected two of the city’s most prominent Modernist designs, Zeckendorf Plaza and Skyline Park. Today, of these landmarks, only the mall remains. 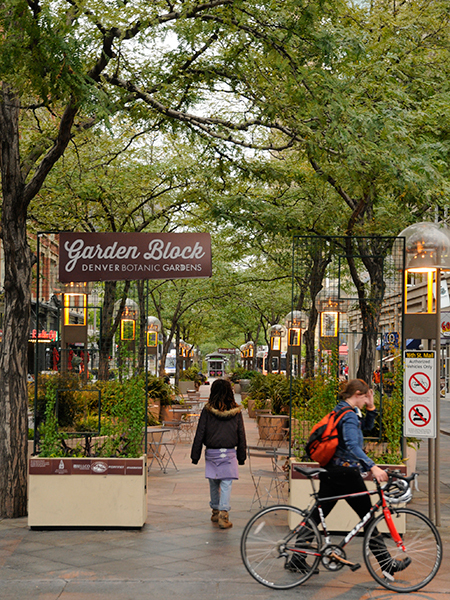 Of the country’s 200 original transit malls, the 16th Street Mall is one of only 30 remaining. 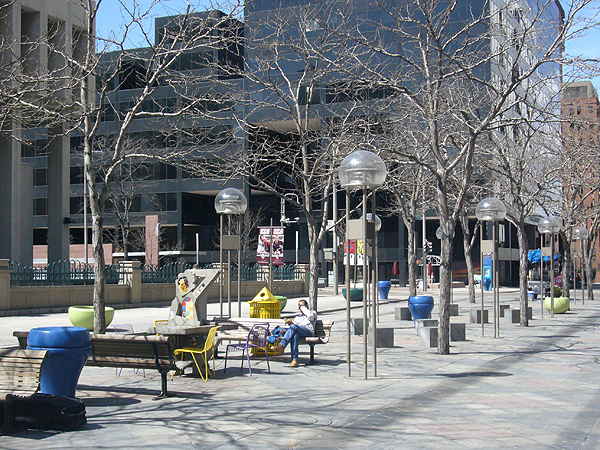 The 16th Street Mall received a Professional Award in the Design Category from the American Society of Landscape Architects in 1985.